For years you’ve been dreaming of the day you pick up your new boat, launch it like a pro and return to the ramp with more fish than you can pack in your mum’s deep freeze. But the dream doesn’t always become a reality. It’s a steep learning curve for new boat owners. What could possibly go wrong you ask? A lot it seems. If you haven’t mastered reversing a 6’x4’ trailer at the local rubbish tip, don’t consider backing a boat down a ramp without some serious practice behind you. You don’t want a cranky queue of Sunday morning boaties watching you attempt to coordinate the steering wheel with the boat trailer for the very first time. That’s best done in an empty car park with no one watching! I’m not talking about your seasick passenger. If you forget to put the bungs in before launching your boat, you’ll soon be madly bailing water to stop it sinking. 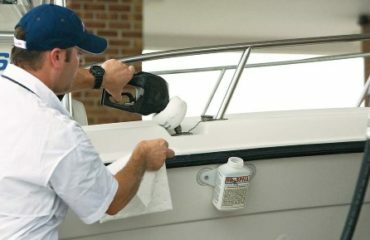 Know which fuel your boat uses, and which deck fill connects to the fuel tank. If your mate is helping fuel up while you look after important things like ice for the esky, don’t assume they have any clue which fuel to use or where it goes. Some people think a weather check is rushing out the front door in their boxers to check the sky is blue. Everything seems fine until later that day when they find themselves miles offshore in high winds, big swell and a darkening sky. Do a proper weather check via internet both the night before and on the day itself. You find the perfect spot between two boats that you can squeeze into. You throw the anchor overboard and get ready for a fun day in the sun. Your neighbours won’t be happy if you don’t check that your anchor has held and end up bouncing off the sides of their boats. Trim tabs are so convenient – until you forget they are there. Make sure you tell your passengers that they aren’t little step ladders for getting back on the boat after swimming, and when you get back to the ramp don’t forget to raise them before loading otherwise the damage bill could be considerable. Learn how to moor using the correct angle and speed. It’s a good idea to have someone on the bow observing and helping by giving you signals during mooring. Make sure you agree on the signals before attempting the manoeuvre however, if you want to still be on speaking terms during the trip home! The internet is littered with videos of people unhooking their boat too early, so that it falls off the trailer and hits the ramp rather than the water. Or they reverse the car a little too deep and the next thing you know, both the boat and the car are launched. Don’t end up a YouTube celebrity for all the wrong reasons! We’ve left the big one ‘til last. 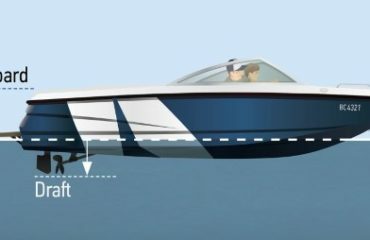 If you don’t want to be on the receiving end of death stares from seasoned boaties, learn some ramp etiquette. Don’t hold up the queue because you’re busy organising gear in your boat and putting lifejackets on the kids before launching. Pre-plan and pack at home, organise gear and put on life jackets in the car park and only get in the ramp queue once you’re actually ready to launch. When someone else annoys you on the boat ramp with their lack of awareness or preparedness, you’ll know you’ve made the transition from novice to nailed it. Until then make sure you’ve got good boat insurance.